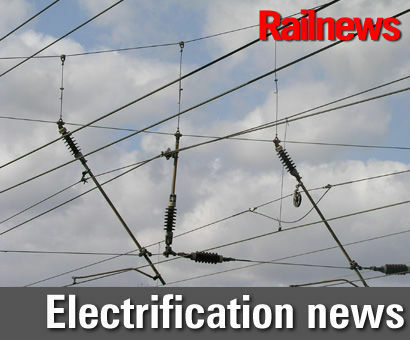 ELECTRIFICATION of several stretches of the Great Western Main Line has been further delayed, saving some £150 million. The Government said 'costly and disruptive electrification works' are not necessary to achieve 'the benefits expected by passengers'. However, rail minister Paul Maynard has emphasised that the government remains committed to electrifying the GWML. In a statement to Parliament, he says that the sections affected are Oxford and Didcot Parkway, Bristol Parkway to Bristol Temple Meads via Filton, west of Thingley Junction via Bath Spa to Bristol Temple Meads and two Thames Valley Branches to Henley-on-Thames and Windsor & Eton Central. Paul Maynard said: "We are continuing to invest £2.8 billion in this electrification programme. "It is a project unprecedented in scale that is building on and around ageing assets in constant use. This is an ambitious and challenging undertaking, but real progress is being made in delivering it. "Projects completed successfully this year include the digital upgrade of large sections of signalling to improve reliability, the modification of over 100 bridges and structures, flood alleviation work, significant improvements to the resilience of the Oxford route and the introduction of the first Great Western electric services between Hayes & Harlington to Paddington which run between some of the busiest peak services in the country. "We have been clear that there have been difficulties with this programme. These were set out last year in the review of Network Rail’s delivery plan by Sir Peter Hendy. Following the re-planning of work that followed this review, the programme has been placed on a more efficient footing. A key part of this is the ongoing assessment of investment decisions so that passengers and taxpayers get maximum value." He also revealed that the postponements will "provide between £146 million to £165 million in this spending period, to be focused on improvements that will deliver additional benefits to passengers. We remain committed to modernising the Great Western mainline and ensuring that passenger benefits are achieved." He continued: "This decision underscores the government’s approach to wider rail investment; that passenger outcomes must be delivered in conjunction with achieving the best value from every pound spent." Labour has criticised the Government's handling of the scheme. Shadow transport secretary Andy McDonald said: “These electrification works have seen their cost triple and have now been shelved twice, with businesses and commuters being made to pay the price for the Government’s incompetence. “The Government have proven themselves incapable of delivering electrification works to budget or on schedule, and this is yet another example of a broken Tory promise on rail.